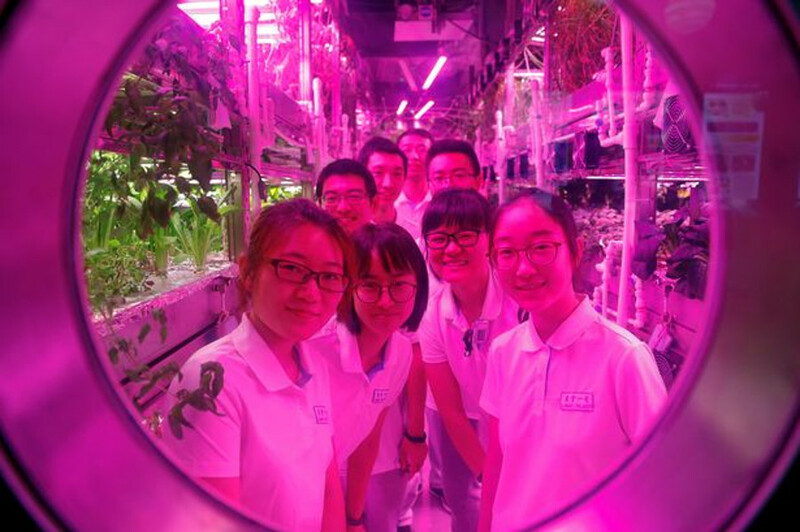 The experiment was dubbed “Yuegong-365” and is Beihang’s second attempt to assess how the Bioregenerative Life Support System (BLSS) works in a moon-like environment. The Yuegong-365 experiment was designed to test human survival with limited resources in places far from Earth, and the new students will have to recycle everything as part of the task, including organic and inorganic trash and human waste. The first section of the experiment had the first group of volunteers –two woman and two men, too- living inside Yuegong-1 for 60 days. After the second group finishes the 200-day stay, the first group will then return to the cabin for an additional 105 days. 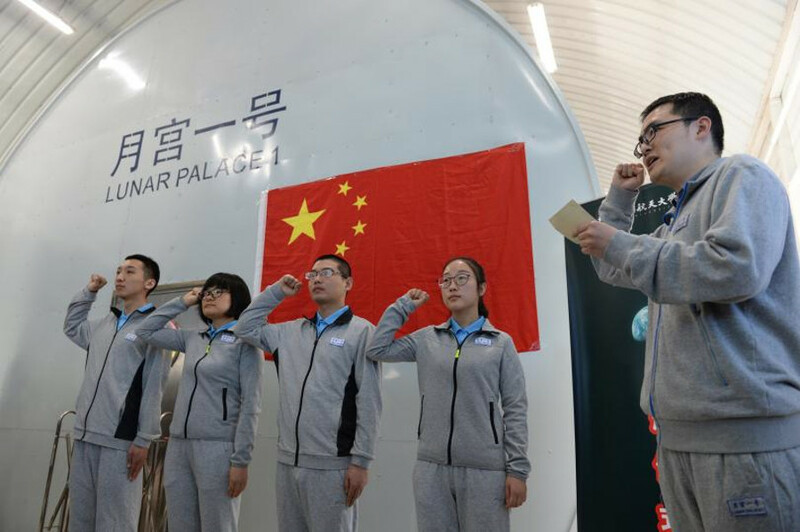 “While it remains unclear exactly how long China’s first lunar explorers will spend on the surface, the country is already planning for longer stays,” said China’s official news agency Xinhua when the first volunteer group kicked off the experiment. The first test of the BLSS was conducted back in 2014, but scientists decided to retest the system to see how it works in moon-like environments while supporting the existence of animals, plants, and microorganisms at the same time. The students will have to conduct a series of tasks that would be required when traveling into deep space, such as generating oxygen from plants and recycling urine for drinking water. Yuegong-1 was built out of two bunkers that were converted into quarters replicating living in a space habitat, without the zero gravity feature. The idea behind the experiment was also to develop a self-contained living space for astronauts to prepare them for the future when they could travel to the moon or Mars. The new volunteers are students at Beihang University, formerly known as Beijing University of Aeronautics and Astronautics. Liu Hong, the principal architect of the experiment and a professor at Beihang, noted all the requirements for human survival were taken into account when they designed Yuegong-365. “We’ve designed it so the oxygen (produced by plants at the station) is exactly enough to satisfy the humans, the animals, and the organisms that break down the waste materials,” told Liu to Reuters. The volunteers will be monitored at all times, thanks to a series of cameras placed inside the simulated space cabin. Hong noted that apart from observing the physical aspect of the experiment, the scientists are interested in assessing the mental health and behavior of the students, who may be affected by living in a small space and by the lack of sunlight for such an extended period. President Xi Jinping has shared his plans for China becoming a global power in space exploration. China expects to send the first probe to the dark side of the moon later this year and to send astronauts to the moon by 2036. The lunar space probe, dubbed Chang’e-5, is expected to be launched in November atop a Long March 5 booster. The probe will depart from the Wenchang Space Launch Center in south China’s Hainan Province. If the mission is successful, Chang’e-5 will bring back to Earth the first lunar samples in more than 40 years. According to Xinhua, the probe has four parts: the orbiter, ascender, lander, and the Earth-reentry module. China announced the probe’s landing site during the Global Space Exploration Conference (GLEX) in June, noting that Chang’e-5 will land on the Mons Rümker, a young volcanic site on the moon. The experiment could provide understanding on how the eruptive processes have evolved on the moon, how the chemistry has changed, how old the rocks are on Mons Rümker, and what that means for the thermal history of the moon, told Jeff Plescia, a planetary scientist at the John Hopkins University’s Applied Physics Laboratory, to SpaceNews. Plescia added that he has no doubt that China will land humans on the moon and that it will happen before the U.S. ever returns to the Earth’s natural satellite.